JUBA, South Sudan (AP) — After coming face to face with “unpredictable” gun-waving children almost 25 years ago, the former commander of the failed U.N. peacekeeping mission during the Rwandan genocide dedicated his life to eliminating the use of children as weapons of war. In an interview with The Associated Press in civil war-torn South Sudan, Romeo Dallaire, who is widely known for warning the U.N. about Rwanda’s massacre in 1994, said the current approach to combatting child soldier recruitment is not “sufficient.” Local security forces must be part of the solution, he said. “My personal experiences of having to negotiate with, having to face children with weapons … may not have been the right way of doing it,” Dallaire said. His visit marked the launch of a three-year-program by the Canada-based Romeo Dallaire Child Soldiers Initiative. The $2.2 million project funded by Global Affairs Canada aims to work with at least 1,200 South Sudanese soldiers, police and prison personnel. The first round of training will include 50 senior army officers. With 19,000 children associated with armed groups, South Sudan has one of the world’s highest rates of child soldiers, according to the U.N. Almost 6,000 child soldiers were recruited by government and opposition forces in the past four years of fighting, according to a U.N. report released in September. “The figures are unacceptably high,” Virginia Gamba, the new U.N. chief for children and armed conflict, said during a recent visit. South Sudan leads the world with the highest number of child soldiers released, but rapid rates of recruitment are stifling progress. In the last two years UNICEF facilitated the release of over 900 child soldiers yet more than 1,650 children were recruited by armed groups over approximately the same period, according to the U.N.
“These kids’ families were poor when they left and they’re still poor when they go back, so kids return to the army once released,” William Deng Deng, chairman for South Sudan’s national disarmament, demobilization and reintegration commission, told AP. While it’s not government policy to recruit children, Deng said it happens because youth socialize with armed groups in their communities. In an attempt to break this cycle, the Dallaire initiative keeps in mind the realities that both soldiers and children face in conflict. By providing guidance to soldiers on how to interact with children in specific scenarios, the training focuses on behavior change, said Shelly Whitman, the executive director. “We don’t come in to do the finger-pointing. We come in to say, ‘How can we help change that? '” Whitman said. 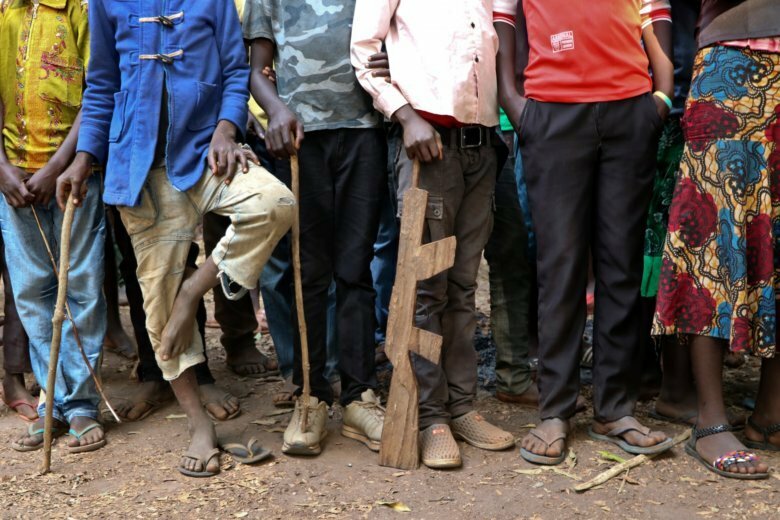 One expert said that while persuading armed groups not to recruit children is an important step, the issue can only be addressed as part of a broader protection strategy. “That’s the mistake that international donor governments continue to make, to believe that complex development challenges like the phenomena of child soldiers can be addressed with one-off interventions and innovations over a short funding cycle. It can’t,” said Samantha Nutt, founder of War Child USA, an organization that supports children and families in war zones. The Dallaire initiative comes during South Sudan’s latest fragile attempt at peace, with opposition leader Riek Machar once again to serve as President Salva Kiir’s deputy in their third attempt at working together since the country gained independence in 2011.